It is a depressing place, run down from years of neglect, freezing cold in the winter and blisteringly hot in the summer, with a chronic pest infestation that never relents. This is what a months-long investigation by the Washington Post found at D.C. General, a former Southeast hospital that the city now uses as an emergency homeless shelter. The Post’s investigation, published in the summer, was as extensive as it was disturbing: Reporters uncovered problems ranging from drugs to bullying among teenage residents, to incompetent and sometimes abusive staff. Perhaps best-known and most tragic of all was the disappearance of 8-year-old resident Relisha Rudd in March. Allegedly taken by Khalil Tatum, a former custodian at the shelter, Rudd is still missing and presumed dead. I was certain that after Rudd’s disappearance, lasting and meaningful change would happen at the city’s largest family homeless shelter. But a city report released just this month predicted that the number of homeless families will rise again this winter, which could prevent D.C. General from shutting down. The problem with D.C. – and other cities, too – is that it has tried to treat homelessness as a temporary rather than chronic issue. A more appropriate solution to homelessness is fairly simple: more affordable housing. But the District is in the middle of an affordable housing crisis that only worsens homelessness while weakening our ability to curb it. As college graduates and students, GW students and alumni among them, begin to move into the city and drive up the cost of living, D.C.’s poorest residents and those with the deepest roots in this city are suffering the most, often winding up homeless because they simply cannot find affordable housing. GW students need to be aware of their role in this process. As residents of this city, we can’t be blind to the problems plaguing it, or our own impact on those problems. It’s hard to imagine that millennials, a group so beset by our own financial worries, could be responsible for such a major affordability crisis in the nation’s capital. But we have aggravated a process of gentrification that’s threatening to push lower-income citizens out of their homes, and possibly from the city altogether. The District’s stock of affordable housing units has shrunk by half since 2000, according to a report by the Fiscal Policy Institute. During that same time, the median rent for all apartments has increased 50 percent, pricing many out of the market entirely. I certainly do not relish the limited and expensive housing options that are available in downtown D.C., and I doubt many others do either. But with help from parents, financial aid and the value of an undergraduate degree, students and recent graduates often can, and will, live in apartments here. As millennials fill these homes, they often split the costs of larger apartments, allowing the prices for these rooms to rise. And real-estate developers have taken note of this trend, building pricier but smaller apartments to allow millennials the rare luxury of living alone. All of this has meant that larger apartments and homes have become rarer and more expensive as demand spikes. I don’t want to make it seem that somehow our generation is the sole cause behind a crisis. But clearly, we certainly have not helped. What can we do about all this? We need to become citizens of the city we call home. Luckily, there are a few options for us. Some people may want to work with or donate to Empower D.C. or the D.C. Affordable Housing Alliance, community-based organizations that advocate for affordable housing. Law students could volunteer at The Washington Legal Clinic for the Homeless, which works on behalf of homeless families trying to secure housing and other services. Moreover, GW students – especially those moving to another part of D.C. after graduation – must be thoughtful in their housing choices. There is no easy solution, but students must balance their own housing wishes and needs with the impact their presence may have on the neighborhood. Sometimes it may be best to simply not live somewhere, even if just to spare that neighborhood the demand. That sounds drastic, but such a serious crisis calls for tangible solutions. As citizens of this city, we have to do our part, and settling for a commute that’s 10 minutes longer or a slightly less chic studio apartment won’t kill us. It can, however, have a positive effect on D.C.’s worst-off communities. Without taking all forward-thinking, long-term solutions and investments like these into account, the affordable housing and homelessness crisis has no hope of ending. GW students and alumni are a crucial component of this crisis, and it’s time we acknowledge our role. 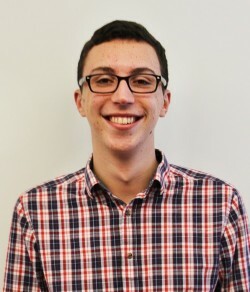 Jonah Lewis, a junior double-majoring in political science and sociology, is a Hatchet columnist.